Most will agree being a young adult these days is quite hard, try doing it through a zombie holocaust. Colin is a young man who seems to be going through some changes, of the undead variety. The zombie film is a staple in genre cinema I honestly doubt there will be no arguments with that statement. As a fan of the genre I have seen the undead in many different lights, there are the films with their hidden political agenda’s. There are laugh out loud comedies and Italian gore fests, there are even romantic comedies involving the living dead. Marc Price’s Colin though takes a different direction in its story; you see the film is told entirely through the eyes of one of the undead themselves. Look up Colin on the internet and the most talked about subject is the budget of the film, roughly a little more than seventy American dollars. How did Marc Price make his film on such a budget you might ask? It is simple his cast worked for no money, wardrobe was the casts own clothing and tapes and equipment were loaned to him. 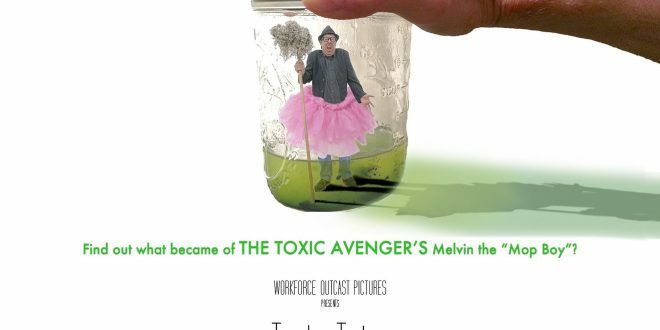 Mr. Price obviously really wanted to make his movie, and it shows. 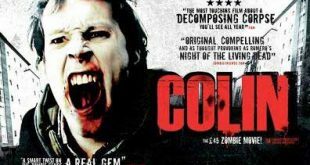 Yes Colin does suffer from some budget restraints, I however found it to be one of the most interesting and entertaining entries recently into the zombie subgenre. 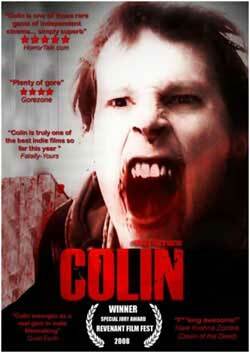 Colin starts by showing our young soon to be undead hero slamming a door behind him as he runs into a house. He screams a name a few times but there is no answer, it is at this point that I should point out being a film shown through the perspective of a zombie there is little to no dialogue during the ninety plus minutes of its running time. What sparse dialogue that does appear in the film is spoken by the random living people scattered throughout the movie, but I’m getting ahead of myself here. Colin’s clothing is covered in blood and he holds in his tightly grasp hand a hammer. Our hero makes his way to a sink and begins to wash his hands then he washes the hammer. As you watch the scene you know that our young hero has obviously seen something that has him on the edge of breaking, by the end of the film you will realize exactly why. After Colin washes his hand he finds that he just wont quit bleeding from somewhere on his arm. After painfully removing his jacket and rolling up his sleeve we see the fresh bite mark on his arm, this is also the first taste of FX in the film which given its budget are damn good if you want my honest opinion. Another flesh bag finds its way into the room where Colin is and immediately attacks him, taking out a piece of the back of his head it looks like. 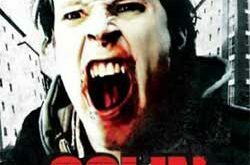 Colin fights with the zombie, and the first hints of black comedy are introduced as Colin reaches in a drawer attempting to find anything to fight back with. When Colin’s hands find a wooden spoon he takes a few swipes at the undead attacker before tossing the spoon away. After a few more seconds Colin’s fingers find a knife and the attacker is stabbed in the side of the head several times, as the zombie falls to its knees however Colin delivers one last blow by pulling the drawer all of the way out knocking his would be attacker down to the ground. 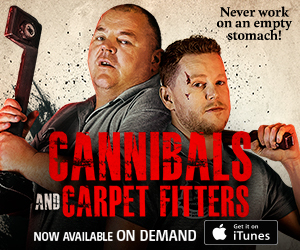 After dealing with the attacker Mr. Price again shows us his twisted sense of humor as we watch Colin try to stand up on the slippery surface of a blood soaked kitchen floor. Our hero falls several times before catching his footing. The next few minutes are a somber piece however as the viewer simply gets to watch the last remaining minutes of Colin’s life, don’t worry though its only a few minutes. Colin wakes up and guess what, he’s a zombie now. He goes immediately to the door to try to find his way out, but he only scratches and attempts to bite at the obstacle. It’s only by an accident that Colin actually finds his way out of the room, again Mr. Price showing us his humor as Colin falls out of a window onto the streets outside. This is where the film really starts to pick up. The streets are shown littered and vacant; again we have all seen our share of zombie holocaust films we know what the set is going to look like. Again I will stress though that Marc Price did this film on such a small budget, and he makes it work. As Colin wanders the vacant streets the viewer can hear explosions and gunshots going off in the distance. There is a large plume of smoke coming from a burning house in the background and there are the screams of those who are still alive trying to fight for survival during the holocaust. 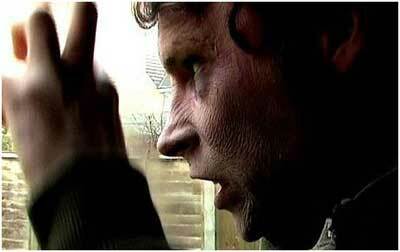 As Colin explores the viewer gets to see a lot of the living being attacked by the dead, one man is literally folded in half and pulled through a window. Two girls try to escape through a window of a burning house only to be pulled back in. 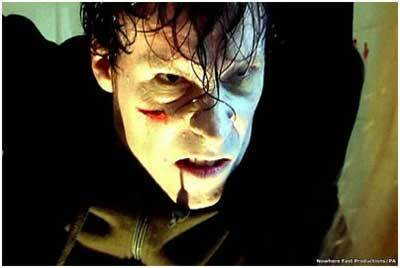 The FX on the zombies and the victims again is great gore soaked fun. Colin eventually even gets to his first meal, a suicide jumper who didn’t quite get to end his life. Colin doesn’t just sit and devour his victims though he takes pieces as he goes and just munches on them a little bit, a lip here and an ear there. It doesn’t take long however for the living survivors of the film to start being portrayed as the bad guys. Remember Colin is told through a zombies perspective so most of his run ins with survivors are confusing affairs. Colin runs into one group of humans who are simply interested in stealing his Adidas, they are eventually chased away by another group of survivors who only leave Colin be because one of them claims to be his sister. His sister does end up playing a stronger part later on the film and actually has some of the most emotional scenes, which is weird because there isn’t any dialogue at all during the scenes its just really great direction. Colin kind of stumbles his way around town and gets into all of the situations we as zombie genre fans have seen before, but again it’s through a zombie’s eye. There is a home invasion sequence, which is chaotic as hell and full of great FX. Colin also has a brief run in with a real human monster. 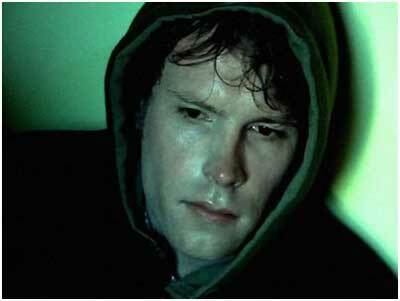 He follows the survivor woman from the home invasion sequence as she is led to a basement where she is told she will be safe. Her would be rescuer then leaves and locks the door behind him causing a group of graphically blinded zombies to start stirring around. 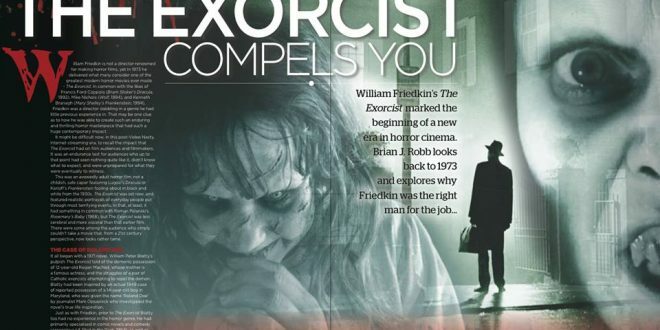 The scene is very creepy and just shows how crazy some people might be if events like this ever did occur. 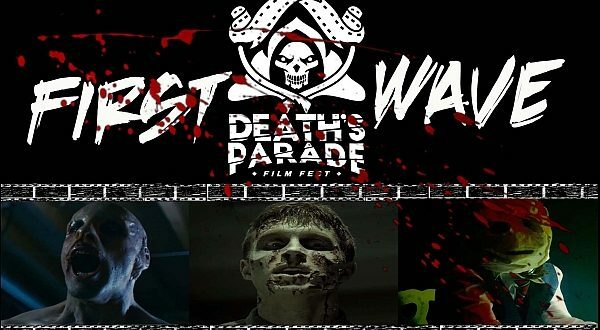 Even the attack squad that comes into the town to get rid of the zombie menace is portrayed as bad guys, after the initial attack they all take a test and immediately start disposes of those in their ranks who have become infected. It is during the attack squad’s vicious attack however that we actually do get to see a zombie eating its own intestines, now that folks is why we watch zombie movies! Marc Price’s Colin is a great example of a good story (its nothing new but it is told through a new perspective), great FX (seriously Mr. Price has some good friends because I know it wasn’t cheap to get some of the FX this film has) and awesome direction. Like I said earlier in the review the film really has no dialogue the direction and the cast, most notably Alastair Kirton who plays as Colin. I wouldn’t mind seeing what Mr. Price would do given a budget, especially if it carries with it some of the emotion that is scattered throughout Colin. 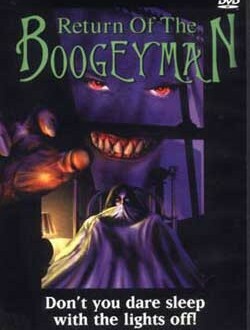 Every fan of the undead should track themselves down a copy of this independent gem.